Since moving to Zachary, me and my cowboy make the short 30 minute drive down Hwy 61 to St. Francisville for church on Sunday, a little bit of good food and a simple day in a sweet town quite often. When my older sister stayed for a weekend at the farm recently, I knew exactly where to bring her for some sister strolling – St. Francisville. 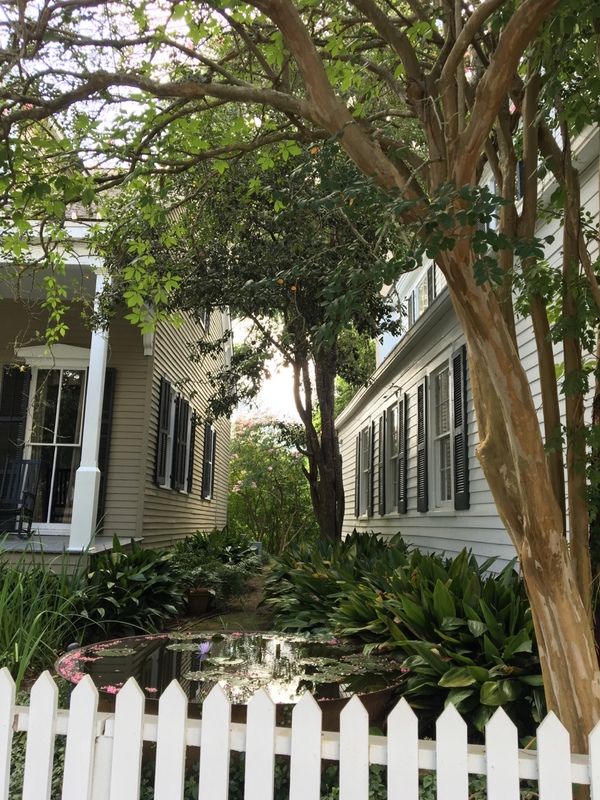 When we arrived, we parked along the main historic drag of Royal Street and started walking. It was early in the day and there was a slight breeze in the air which made the south Louisiana summer heat bearable. Because there are gorgeous oak trees creating a canopy over the sidewalk, you are in the shade most of the walk. 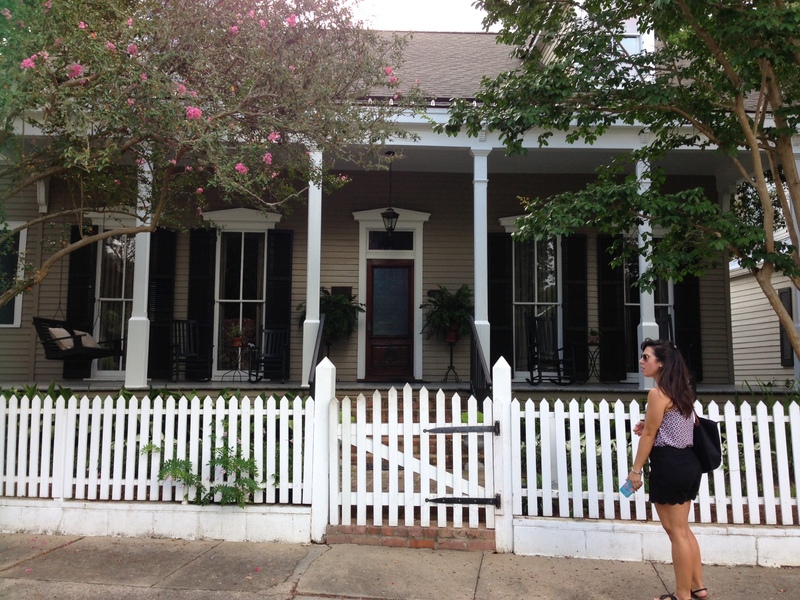 We stumbled across the Historical Homes district and immediately started snapping pictures. 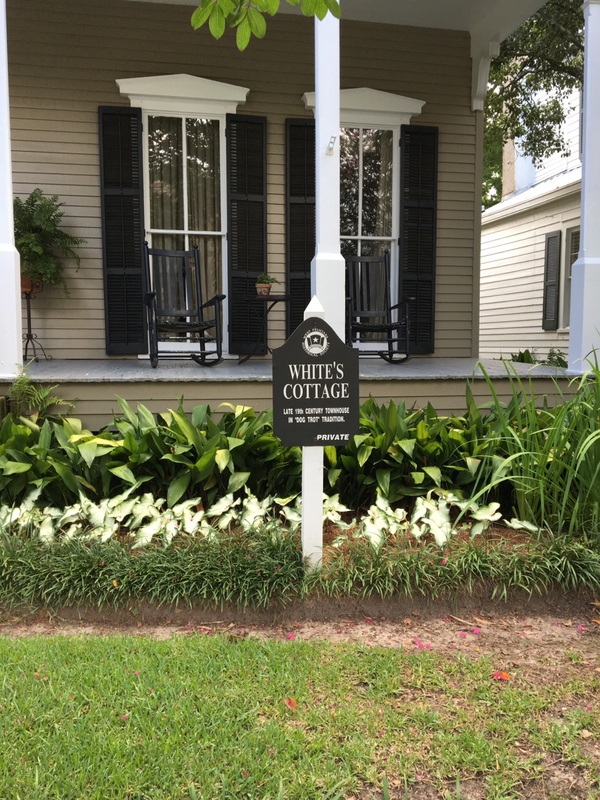 My favorite one is by far White’s Cottage. That porch…swoon! As we kept traveling down Royal Street, our next stop was the United Methodist Church. It was completed in 1899 and relocated to this spot on Royal Street in 1948. It also houses the original bell from the church in Bayou Sara which was destroyed by a series of fires and floods. The stained glass windows are original and absolutely stunning in person. You don’t see it in this picture but the arched ceiling is original bead board which was restored in 2014. If you make a trip to St. Francisville, you must make a stop at Grandmother’s Buttons. It is located in the historic 1905 bank building on the corner of Royal Street and Prosperity Street. The building alone is magnificent with its arched windows and red brick exterior. The bottom is a retail store and the upstairs is where the owner Susan Davis designs and creates her wonderful collection of jewelry from antique buttons. 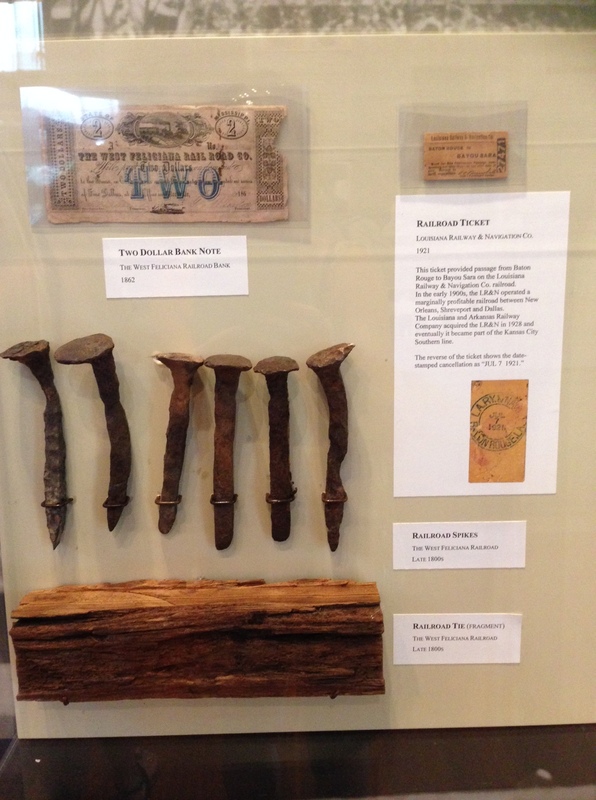 When they renovated in 1995, they transformed the original bank vault into a tiny Button Museum. You can see the vault entries in the picture below. Not only does she sell very unique and romantic jewelry but there are also lots of other curiosities to peak your interest. I sent these to my cowboy back home because I knew he would chuckle to himself. These have my name written all over them. After enjoying the A/C while shopping, we continued on the journey to Grace Church, erected in 1828 as the second oldest Episcopal Church in Louisiana. This church was severely damaged by the Civil War and it took the parishioners twenty years to restore it. The Grace Church Cemetery is expansive with a serene and peaceful presence underneath the enormous oak trees. We spent some time walking through the aisles, taking in all the beauty around us. It may seem strange but that was one of my favorite moments in St. Francisville. Our last stop before lunch was the Tourist Center. We caught up on St. Francisville history, learning about the role of the mighty Mississippi River and the historic West Feliciana Parish Railroad, among other things. The West Feliciana Railroad was the third oldest railroad in America, the first interstate railroad and the first standard gauge railroad (4’8.5″). This railroad ran 26 miles from Bayou Sara to Woodville, Mississippi and was unfortunately destroyed in the Civil War. All property, locomotives and rolling stock were seized by the Union Army. We ended our day with a wonderful meal at The Francis Southern Table & Bar. I was so busy chowing down on my Breezy Hill Bourbon Pecan salad and Feliciana Frog Legs that I didn’t take any pictures. We had a blast strolling on a Saturday in St. Francisville, taking sister selfies all the while! Come wander with me y’all…on Facebook or Instagram. Next Post The Big Reveal.